It is an upgrade module. 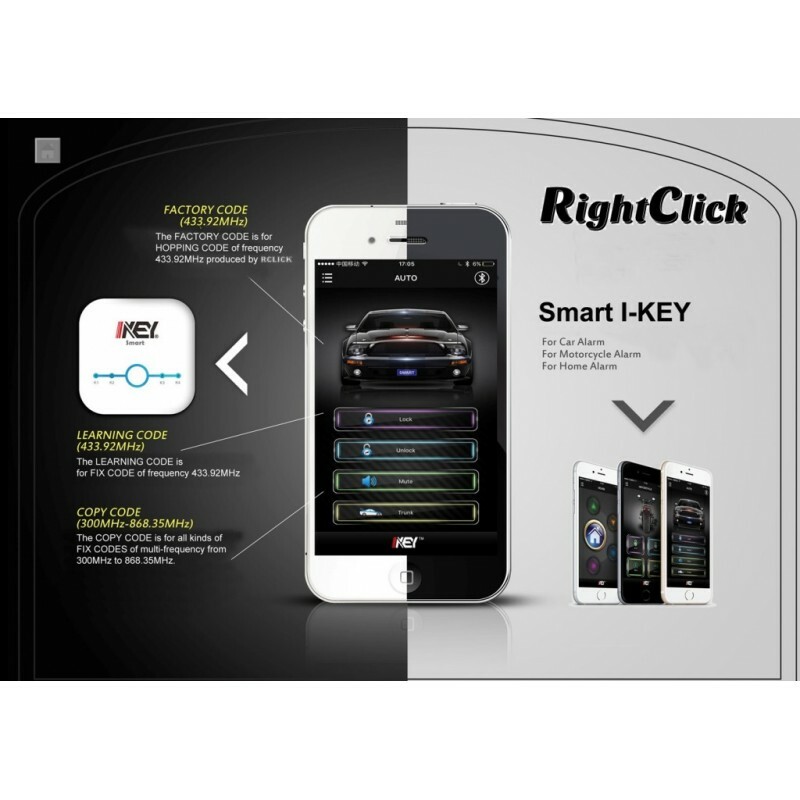 It enables customers to upgrade REMOTE controlled system to SMARTPHONE controlled. 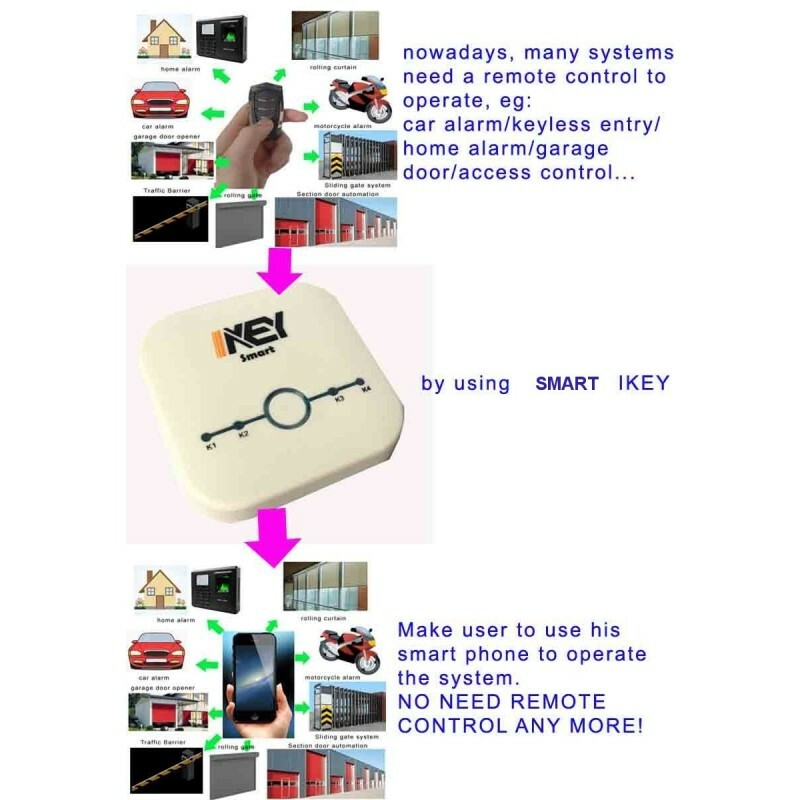 Used to upgrade REMOTE controlled system to SMARTPHONE controlled system. Can be used in car products, motorcycle products, home alarms, door automation products. 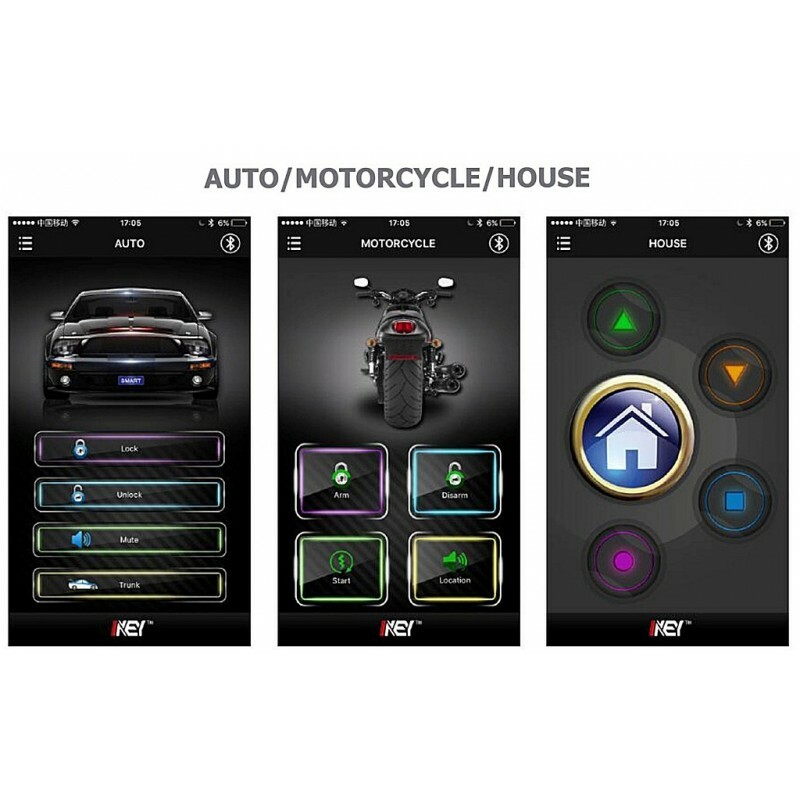 Its applicable range is not only for the automotive aftermarket alarm or keyless system, but also for motorcycle alarm system, home alarm system and door automations. NO wiring is required ! 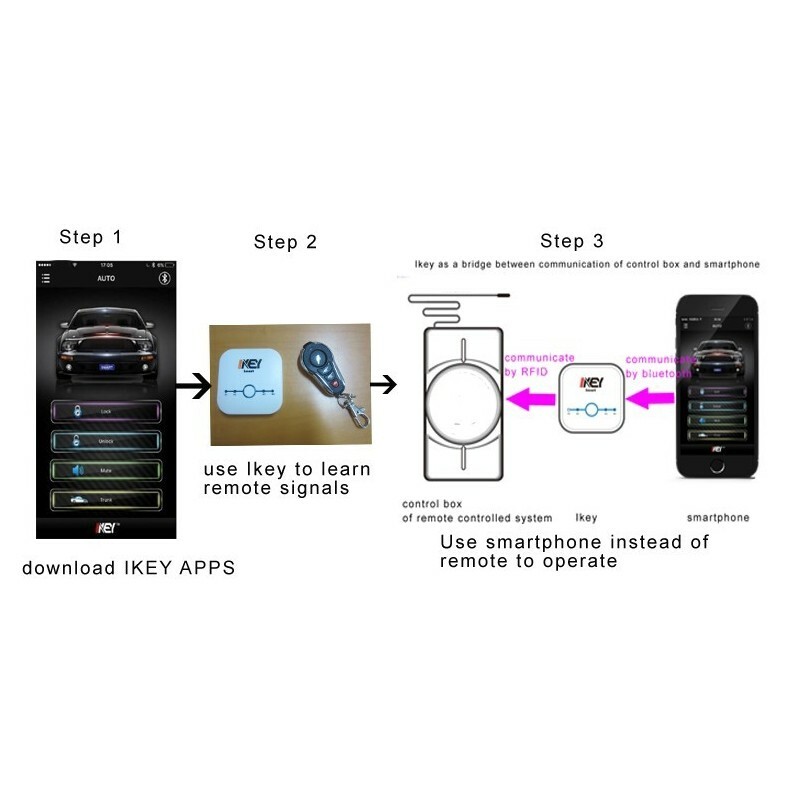 What kind of remote operation system can use iKey to upgrade? 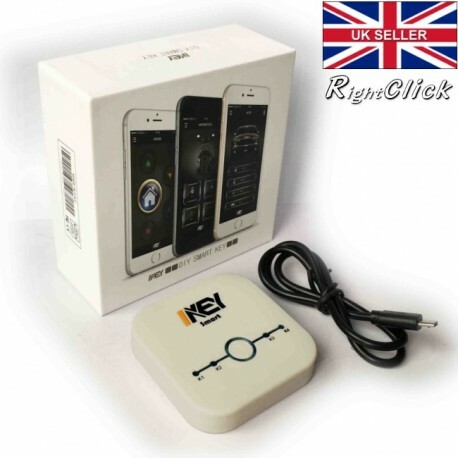 * ALL OUR car alarm, keyless entry, motorcycle alarms with learning code or rolling code remotes. 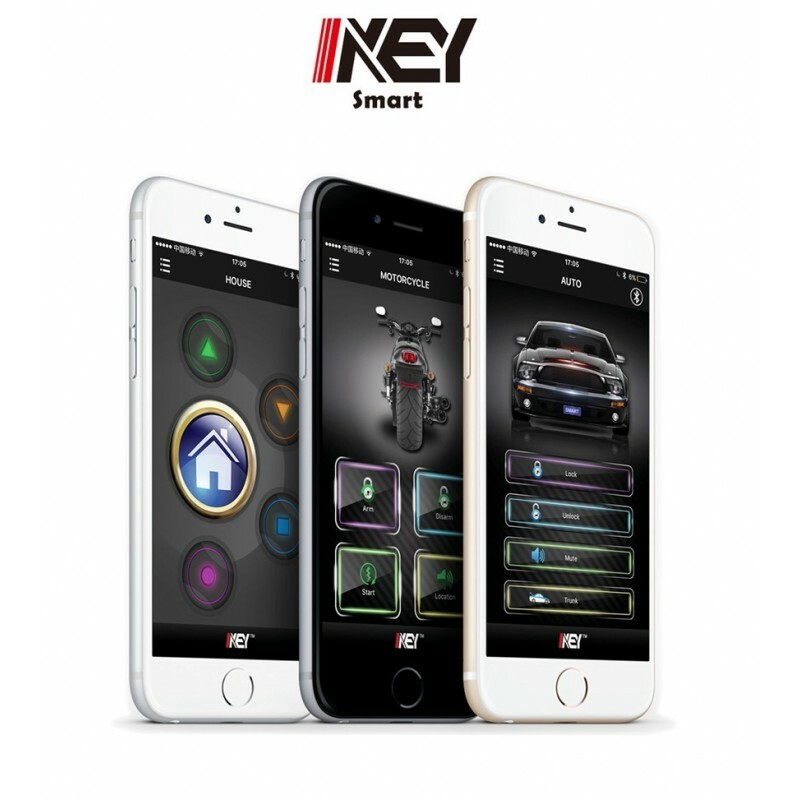 * Other factories' AFTER MARKET car alarm, keyless entry, motorcycle alarm with LEARNING CODE remotes. 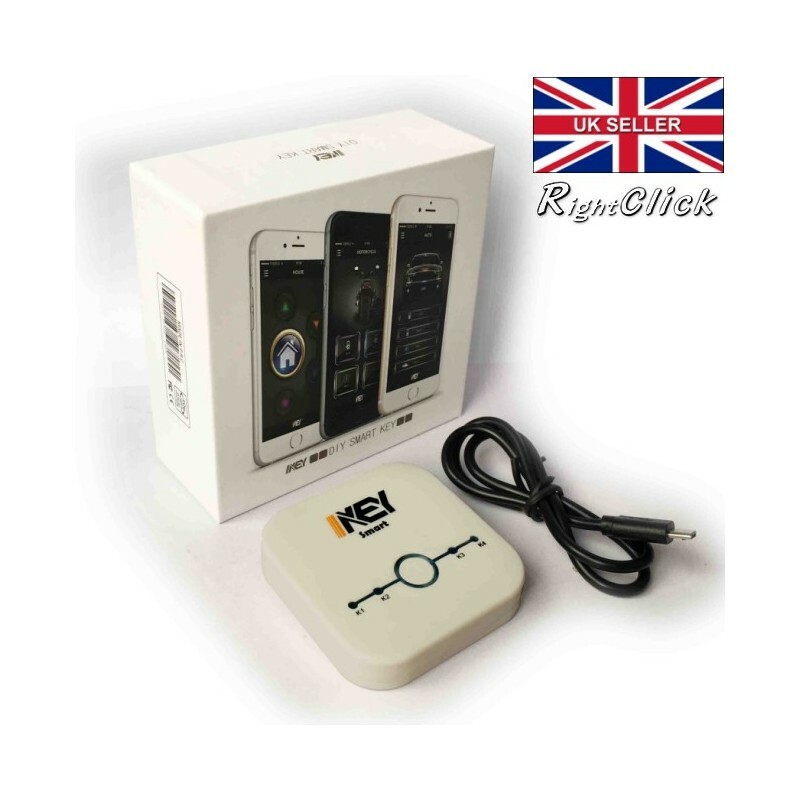 * Home alarm systems with LEARNING CODE remotes. * Door automation systems with LEARNING CODE remotes. * Other remote controlled systems with LEARNING CODE remotes.